Dahlia is a soft beanie cap which is the newest addition to our collection. 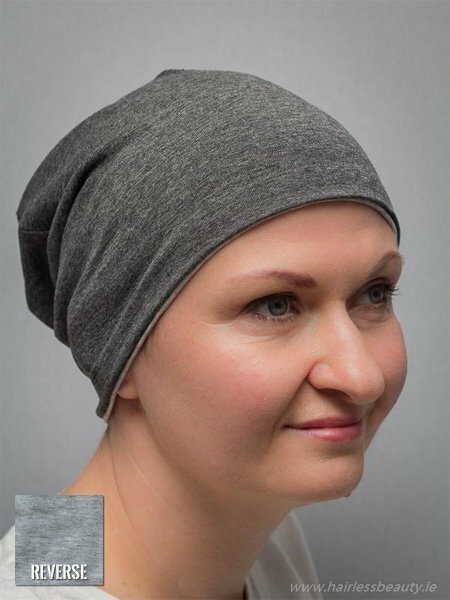 It’s made out of the highest quality cotton for comfort and breathability. 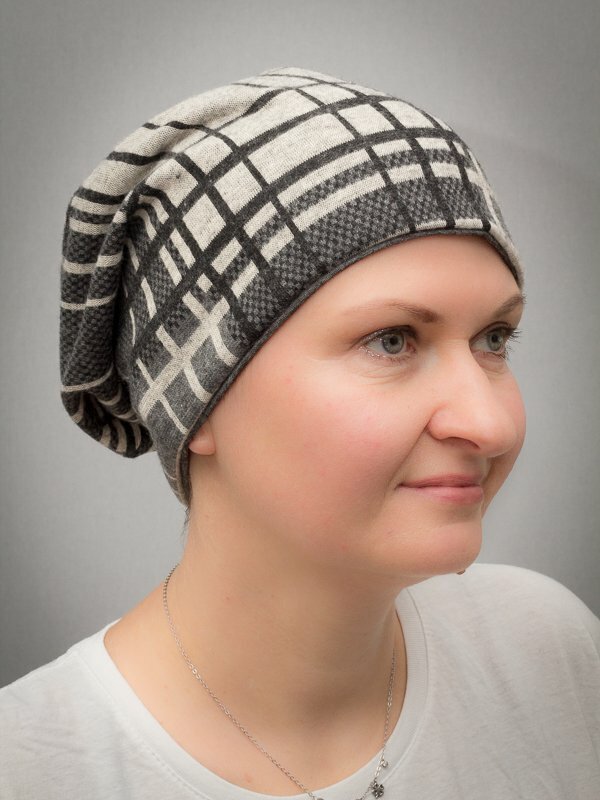 The classic beanie shape of this topper has been updated with a relaxed cut. 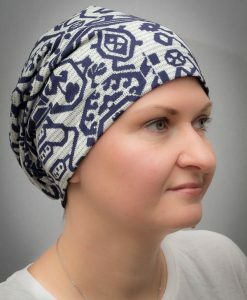 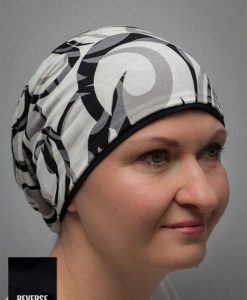 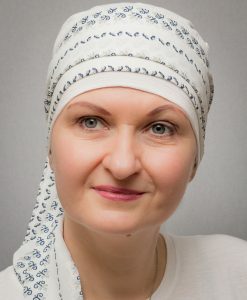 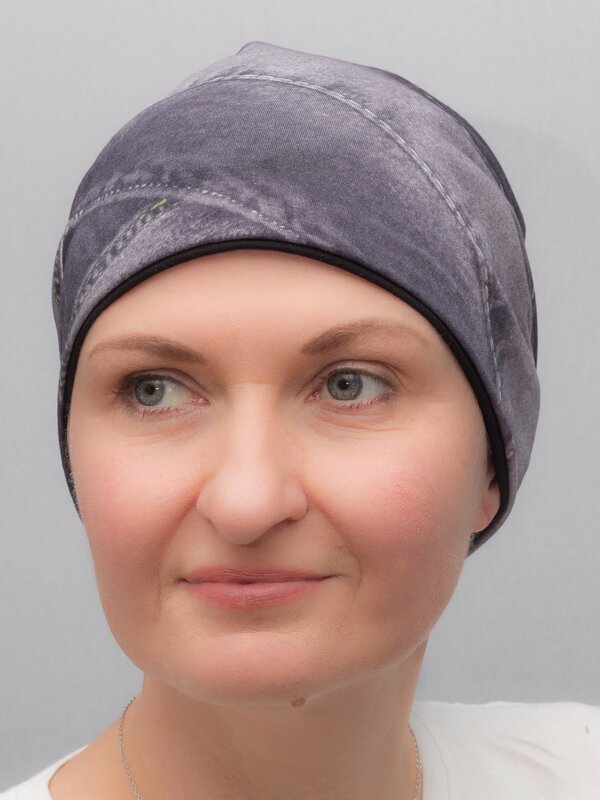 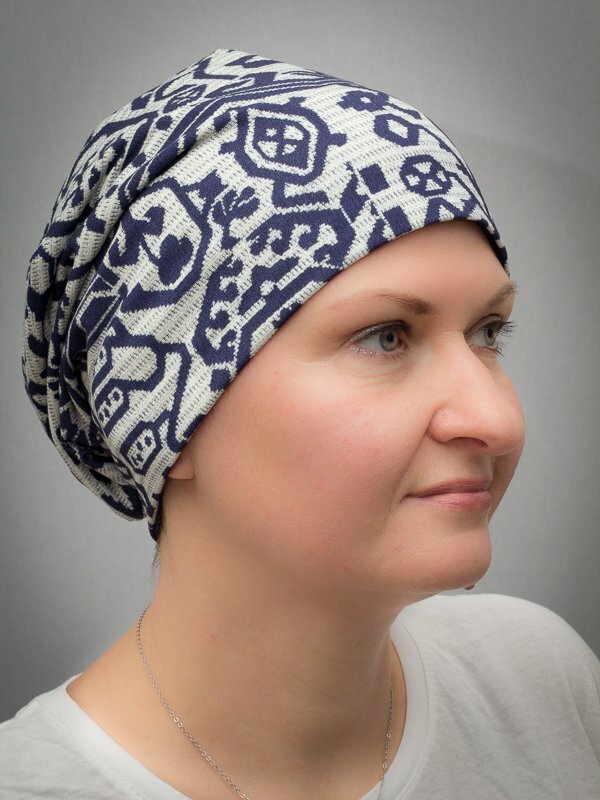 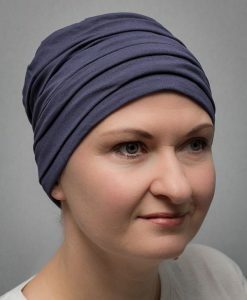 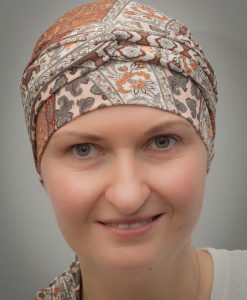 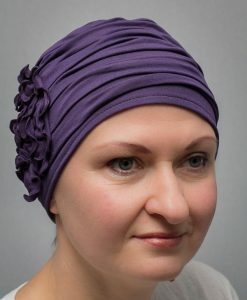 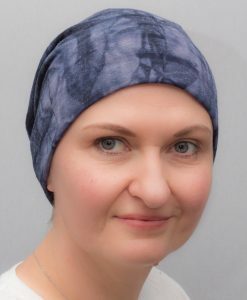 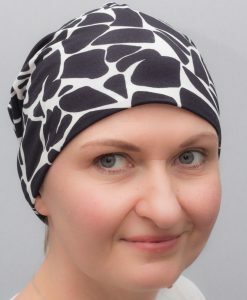 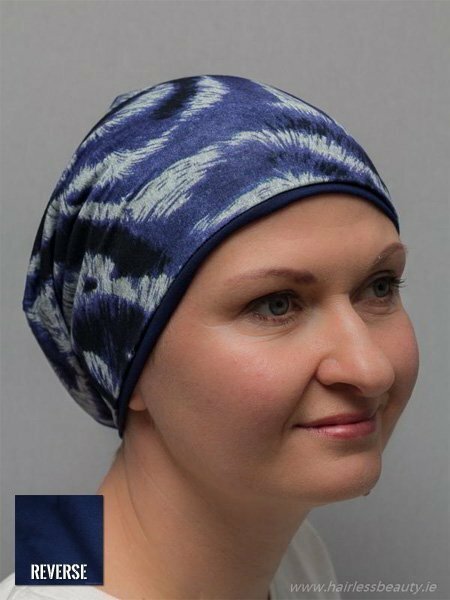 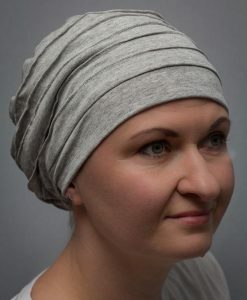 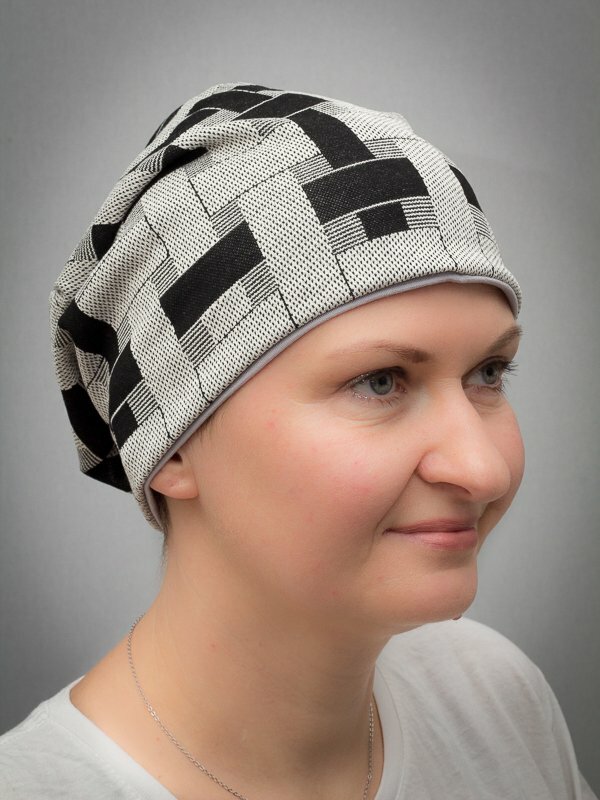 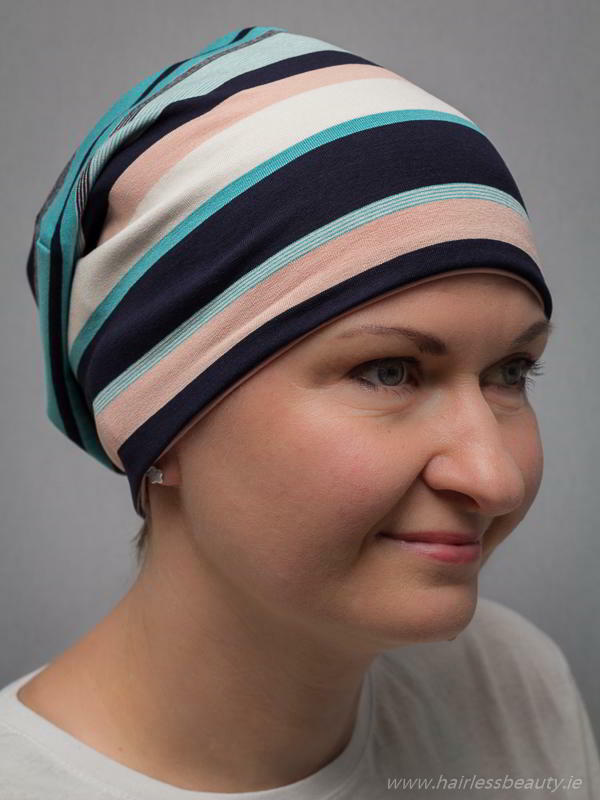 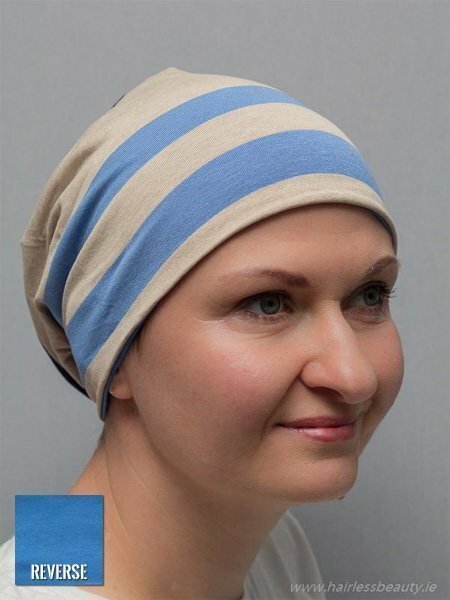 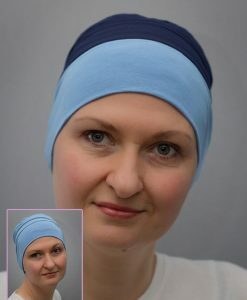 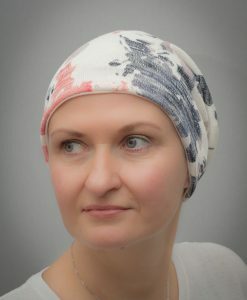 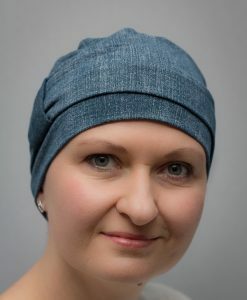 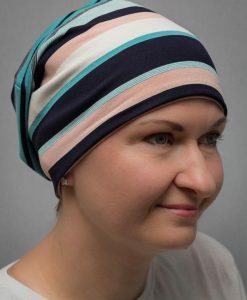 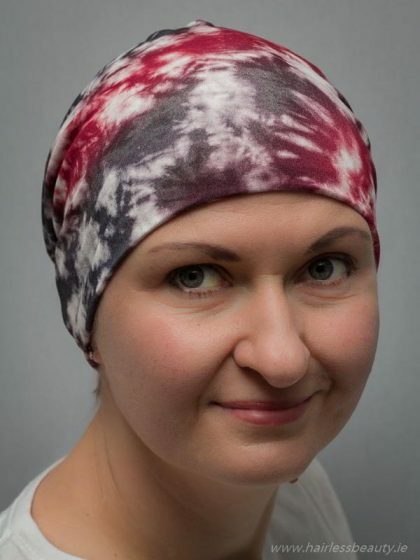 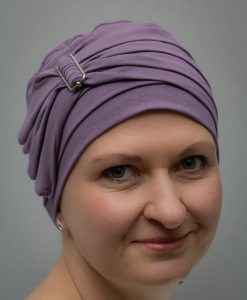 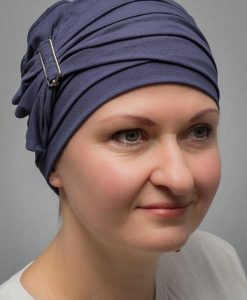 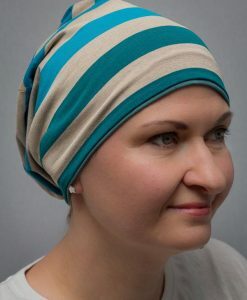 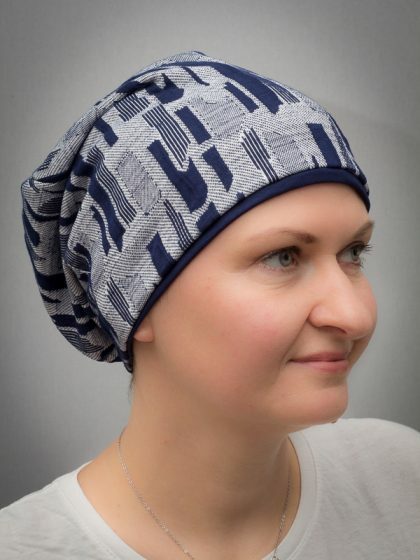 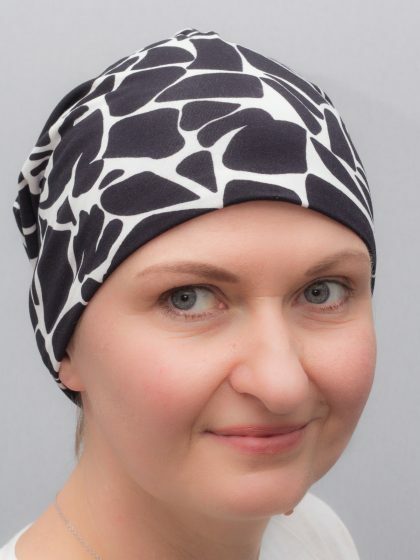 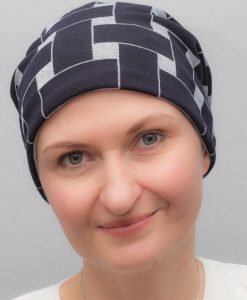 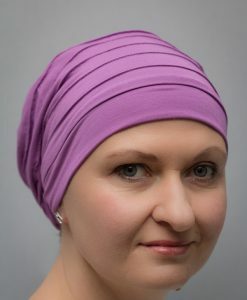 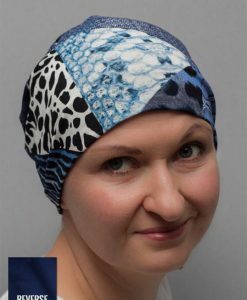 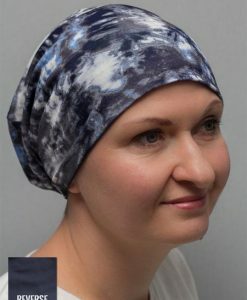 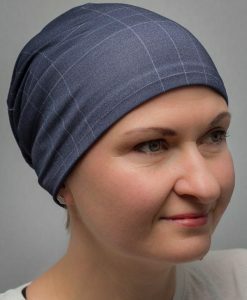 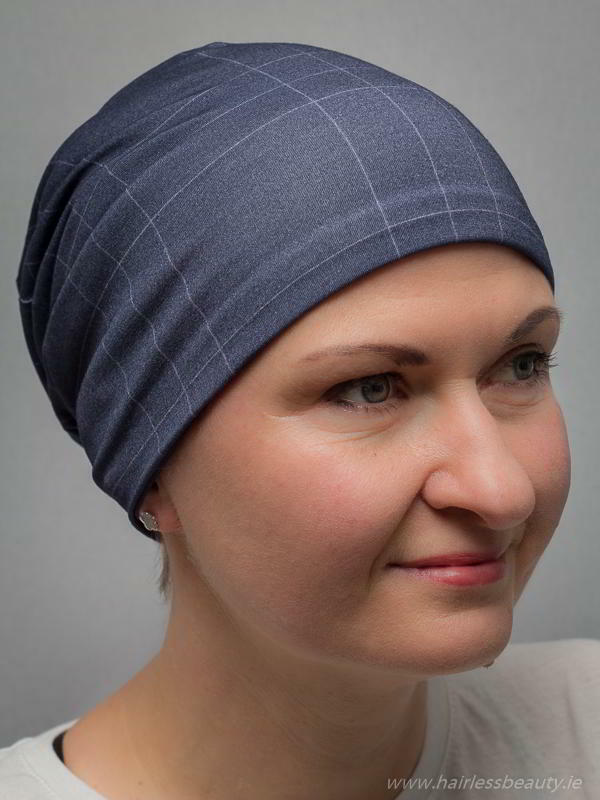 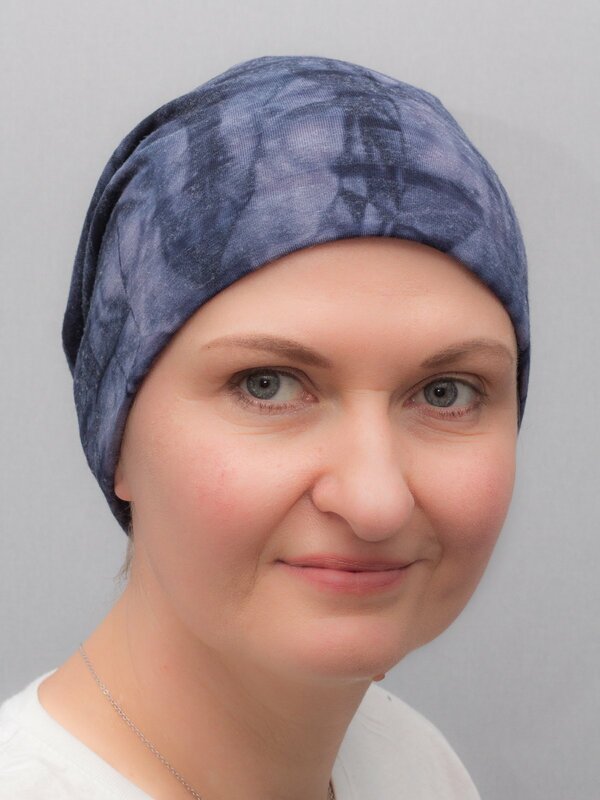 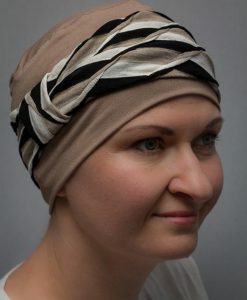 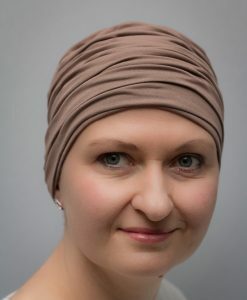 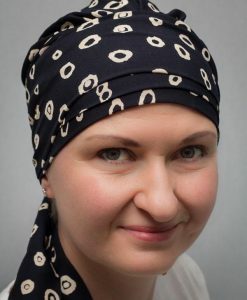 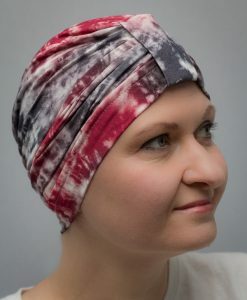 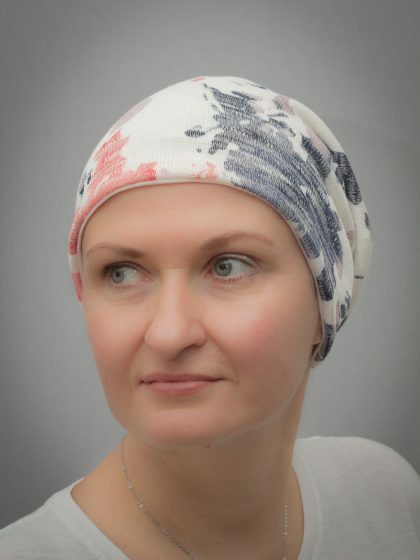 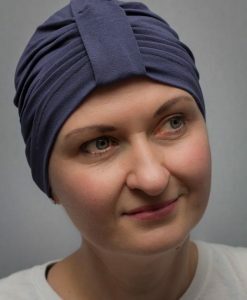 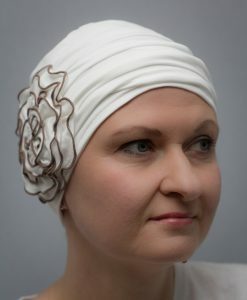 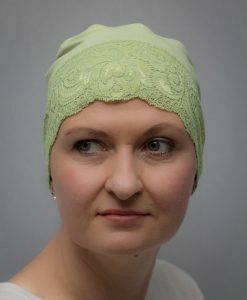 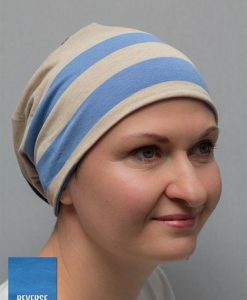 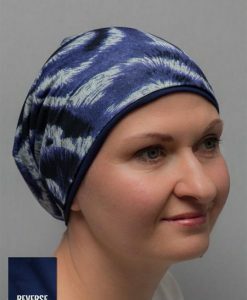 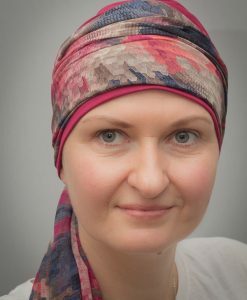 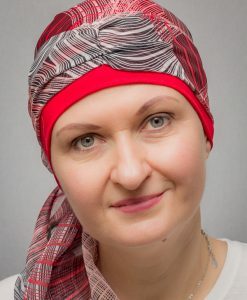 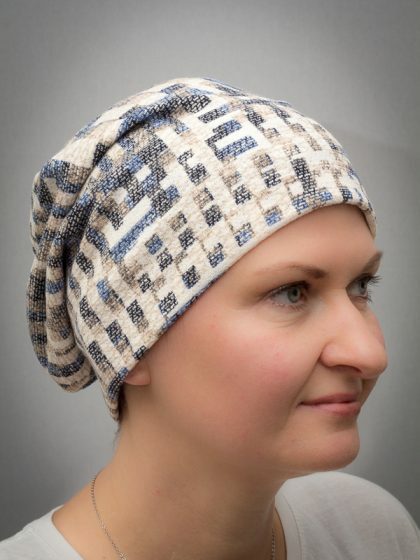 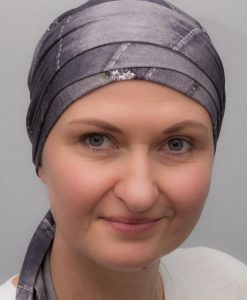 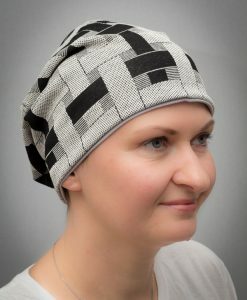 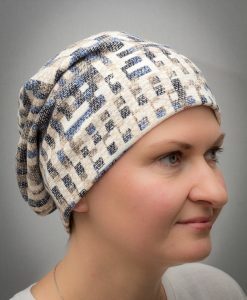 It features room at the top to allow for a fuller appearance, something that is so often desired by women with hair loss due to cancer, chemotherapy, alopecia, or other types of medical hair loss. 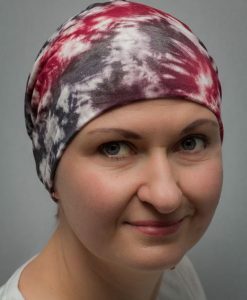 This beanie comes in a variety of colours and the multicoloured ones are double sided. 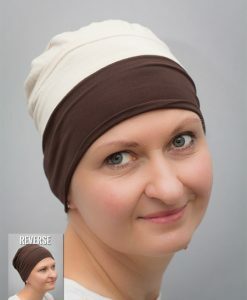 It’s truly versatile!